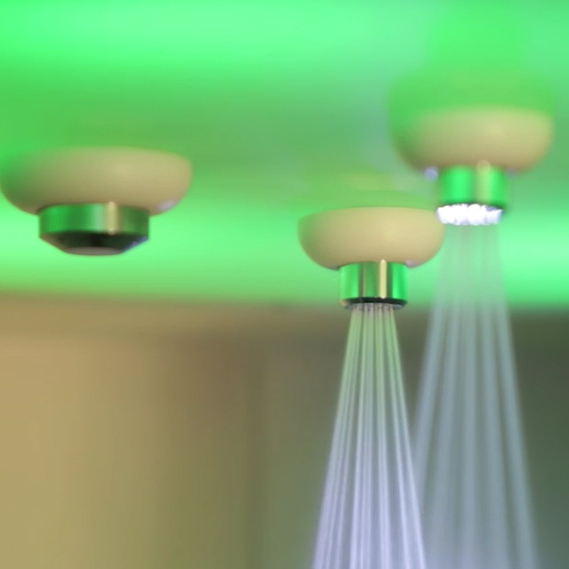 An exhilarating shower experience ideal for Spas, Swimming Pools & Health Clubs. An exhilarating feature shower experience. Our Caribbean storm, Niagara rain or Tropical experience showers. We can install these systems into your own shower surround, or into a pre-formed “C” or “S” shaped enclosure, ready for tiling in a wide variety of mosaic or ceramic finishes. For a more traditional feeling, why not install a drench bucket, with the pull of a chain the bucket of cold water empties over the bather (just like jumping into a frozen lake).